Dating back to the early 1900's, Warren Estate offers a beautiful property featuring 105 acres of rolling farmland, forests with winding streams and a charming, rustic barn. 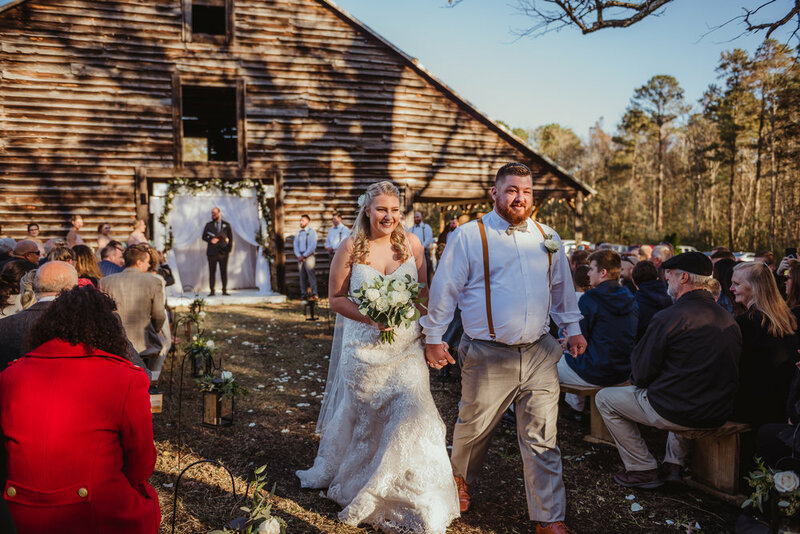 Our barn serves as a backdrop for wedding ceremonies and receptions, along with an old converted smokehouse and corn crib being used for reception festivities. We’re excited to offer guests the opportunity to create memories on our historic farm. Your wedding day includes exclusive use of the farm, converted smokehouse and corn crib, barn, and bathroom facilities. After a picturesque ceremony with the rustic barn serving as your backdrop, wedding guests are then ushered to the backside of the barn for cocktail hour where they can enjoy beverages and appetizers before the reception. After you and your wedding party take photos, guests enjoy the main reception in an outdoor space overlooking the barn, which can accommodate up to 250 guests. Warren Estate has a recommended list of vendors for your wedding needs, and we are happy to work with outside caterers and event planners. Visit our pricing page to learn more about our packages.